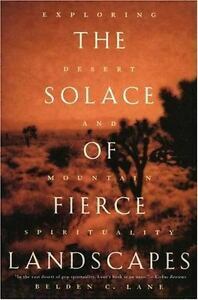 Belden C. Lane, The Solace of Fierce Landscapes: Exploring Desert and Mountain Spirituality (Oxford University Press, 1988), 282 pages including notes, index, and some photos included within the text. This is a complicated book. Lane weaves together personal experiences in the mountains and deserts, along with his mother’s dying, reflections on his vast knowledge from early Christian history, and the theology of an unknowable God. The writing is dense and I found myself reaching for both a regular dictionary as well as a Dictionary of Church History. His thesis is that “apophatic tradition, despite’s its distrust of all images of God, makes an exception in using the imagery of threatening places as a way of challenging the ego and leaving one at a loss of words” (65). Apophatic theology, also known as “negative theology.” focuses on what we don’t and can’t know about God. As Lane points out, this is the God of Sinai represented by a dark cloud over a mountain. Such theology causes one to empty oneself (as the desert and mountain’s force us to do) as we seek God. 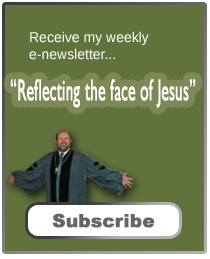 Apophatic theology is the opposite of kataphatc theology (positive theology). Lane places kataphatic theology on the mountain of transfiguration, where Jesus with Moses and Elijah, were revealed in their glory. While these two traditions are in tension, Lane focus is on the former as he explores the “fierce landscapes” of the Sinai, South Asia, the Ozarks, and to the desert southwest of the United States. Lane ends his Epilogue with the story of western travelers to California who became lost in what is now known as Death Valley in 1849. Most of the group died of hunger and as they finally found their way out of the basin, they said, “Good-bye Death Valley. He links that to a Spanish term used also to describe the place, la Palma de la Mano de Dios or the “the very palm of God’s hands” (232). While “fierce landscapes” may seem like places where God is absence, that’s often not the case. From scripture stories about one finding strength in the wilderness, to story of the early desert fathers, to our own walks through desolate places, we may find that instead of being abandoned, that we were all along being held in God’s hand. This is my second book by Lane. Twenty-some years ago I read an early book of his, Landscapes of the Sacred: Geography and Narrative in American Spirituality. I found much to learn in both. Dear Jeff, admirable site. You’re now on my blogroll at Trainride of The Enigmas. Best wishes on this first day of spring. –Geo. Although it sounds interesting, this might be over my head! It’s been a while since I’ve read a book where I had to look in a dictionary while reading it. This sounds like deep and heavy reading–the kind of book you have to slow down and think about each part before you try to absorb what comes next. Thanks for the review! this sounds like it deals with really interesting ideas, but I suspect it would be too densely theological in approach for me!